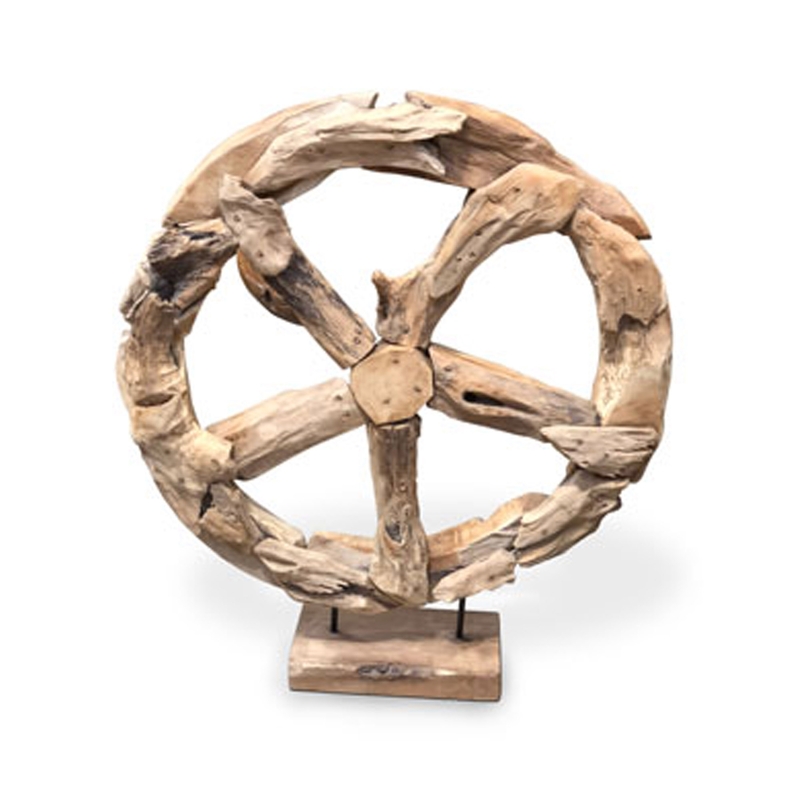 We are very proud to introduce this gorgeous Teak Root Wheel Sculpture. This sculpture features a wonderful design of a wheel. This wheel is created from a combination of teak root and wood, it is also held up on a stand to make it especially eye-catching. This piece would fit wonderfully in a modern home.